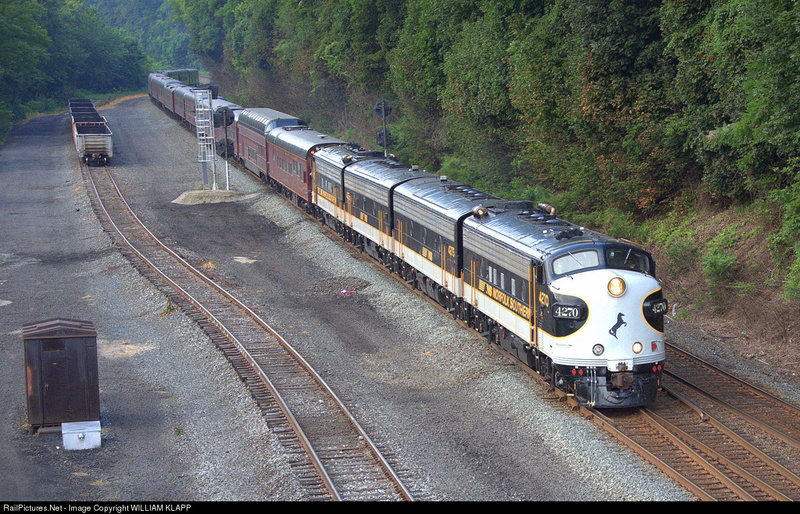 Well I can fully confirm that the much anticipated resignaling project on the former PRR Main Line (currently NS Pittsburgh Line) has begun. Perplexingly it has started on one of the line's newest sections located at the eastern end between CP-CANNON (exclusive) and (at least) CP-LEWIS. 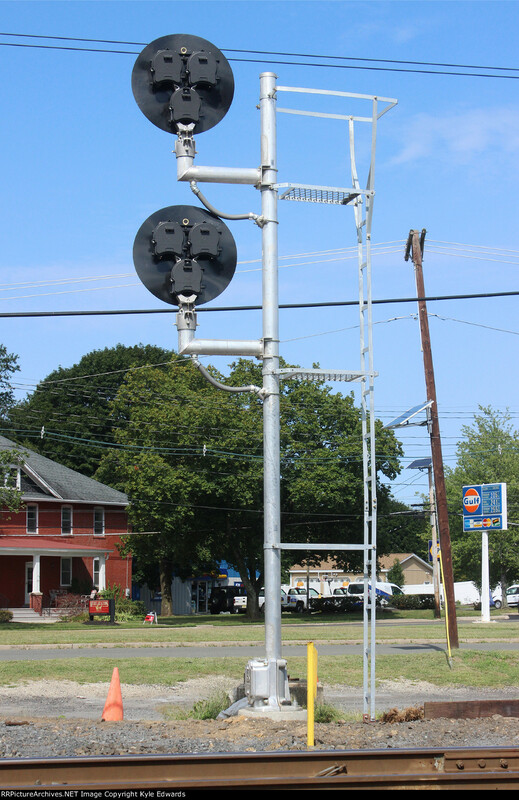 As was foretold by regulatory filings NS is adopting a Rule 562 configuration by eliminating the wayside intermediate signals in favor of the already present cab signals. The remaining wayside signals at interlockings will be equipped with 'C' boards for Rule 280a "Clear to Next Interlocking"
This will see the end of a great deal of bi-directional PRR PL mast signals and a 3 track, 6-signal tubular gantry just east of CP-HAWSTONE. As of this time the pneumatic switches are still in place at CP-PORT and CP-MIFFLIN and no new signaling has appeared from CP-CANNON eastward. Furthermore, no replacements for the PL dwarf signals have appeared at CP-MIFFLIN. Both Conrail and NS era replacement color light signals are also being replaced at CP-PORT and CP-MIFFLIN. 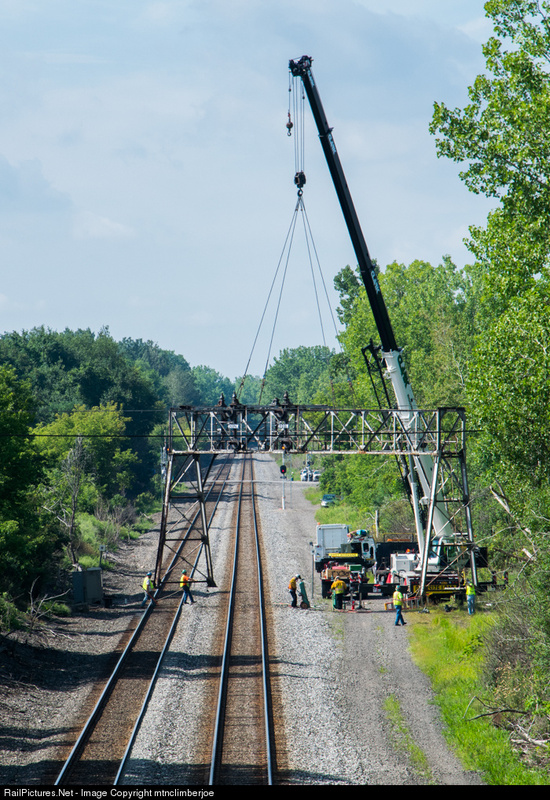 Up north, CSX is finally reaching the end of its multi-year NY Central Main Line re-signaling project, with small target searchlight automatics being removed in the Batavia region where Engine 999 performed her 112mph record run. 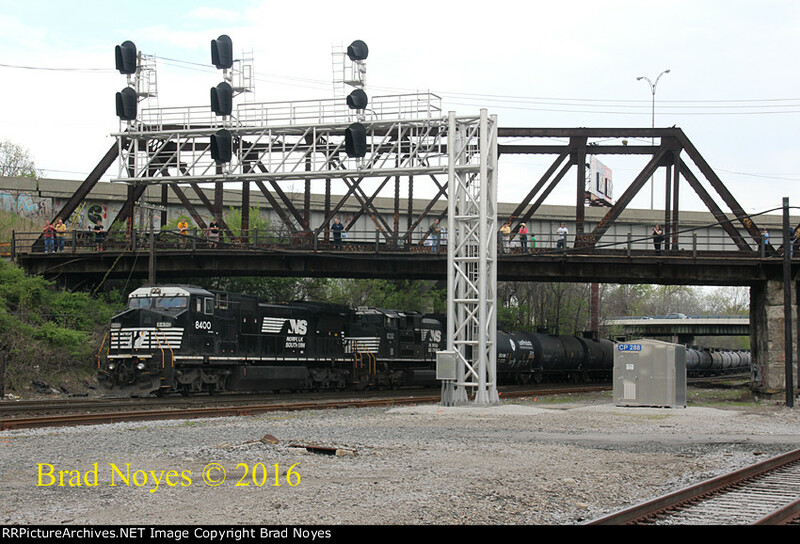 I also just heard that the B&O CPL signals at VINE and LOCUST interlockings have also just been retired, so it looks like I wasn't quick enough getting followup shots with those. 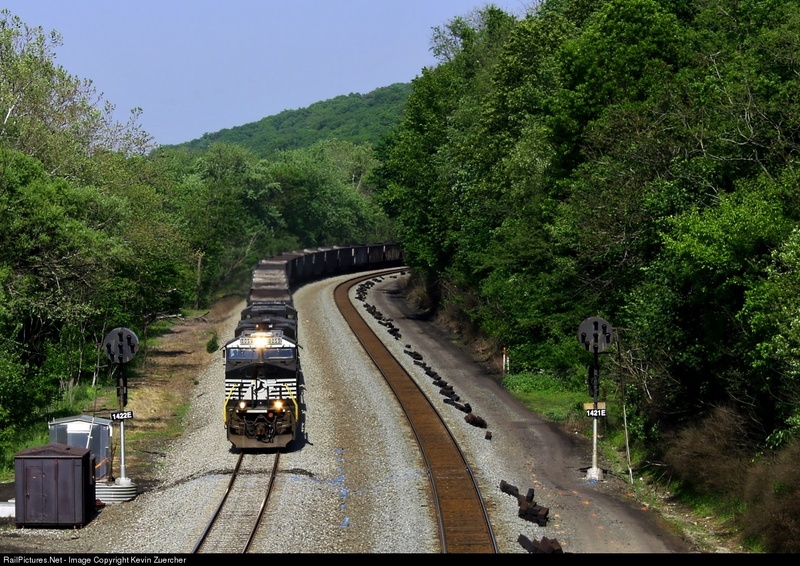 Elsewhere on CSX, the famous modern-mounted SCL elephant ears around Hamlet, NC continue to be whittled away. In a bit of interesting news, on the former Conrail Chicago Line, NS is continuing to apply Conrail blue interlocking nameplates, however they have added the 'CP' designation to the signs, which Conrail omitted, preferring just the name or milepost. Finally, in another bit of Conrail related news, it looks like SEPTA is on its way to replacing the last Conrail era signals on its West Trenton line at CP-TRENT. 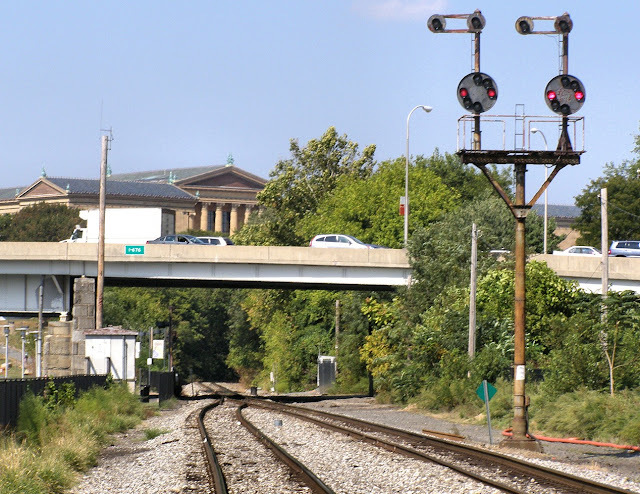 Most of this 90's vintage signaling bit the dust when SEPTA decided to separate itself from the CSX line rather than try to handle the joint running any longer. Well that's all I have. Remember to get your buts out there and take some pictures before, like in the case of VINE and LOCUST, it is too late. I'm specifically referring to the PRR Main Line here. Her out there!